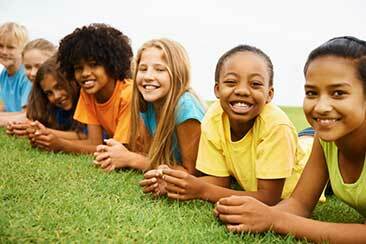 In elementary school, children begin selectively choosing their friends. Parents can encourage this process by asking their child about his or her playmates at school, actively networking with other parents and arranging one-on-one play dates. “Chemistry between children and shared interests are good starting points for a lasting friendship,” Dr. Frankel explains. Once a child has singled out another child, they will gradually develop a reciprocal relationship. According to Dr. Frankel, parents should not worry about how many friends their child has. “Quality is more important than quantity,” he explains. Having a few close friends will help a child feel less lonely as a young adult, Dr. Frankel advises, whereas relying on only one best friend may leave a child isolated and dependent. Parents should also help their child practice social cues by encouraging their child to approach another child to explore mutual interests. If a child starts mimicking an acquaintance’s offensive behavior, parents should explain their concerns to their child and steer them away from that person before the friendship is formed. If you are having trouble gauging your child’s ability to connect with peers, start by reaching out to his or her teacher to find out more about your child’s day-to-day interactions. Children who have problems making and keeping friends may benefit from attending friendship classes with a parent to help them learn social skills and set personal goals for making friends.